How I finish my hand woven tencel scarves. Because I am a big fan of fringe, the last step in my production process is trimming it. Pictured below are the steps I go through when I finish the fringe on the tencel scarves. But I follow the exact same procedures with any of the scarves and table runners that I weaver. At the start of my weaving journey I had no idea how to finish a woven piece. My Introduction to Weaving class at Harrisville Design Center (in Harrisville, NH) gave me some guidance but it was not easy to absorb every bit information that was given during the five day intensive. So I read a number of books to gather as much information as I could. My two primary sources were Peggy Osterkamp’s Weaving for Beginners: An Illustrated Guide and Deborah Chandler’s Learning to Weave. Both authors were extremely helpful and I obtained the confidence I needed to go ahead, take out the scissors, and cut. Today I can now say that experience has truly been the best teacher. Step one. I steam press the hand woven tencel scarves. Our iron spits water so I protect the scarves and use a pressing cloth. At first I cut up an old cotton bed sheet. 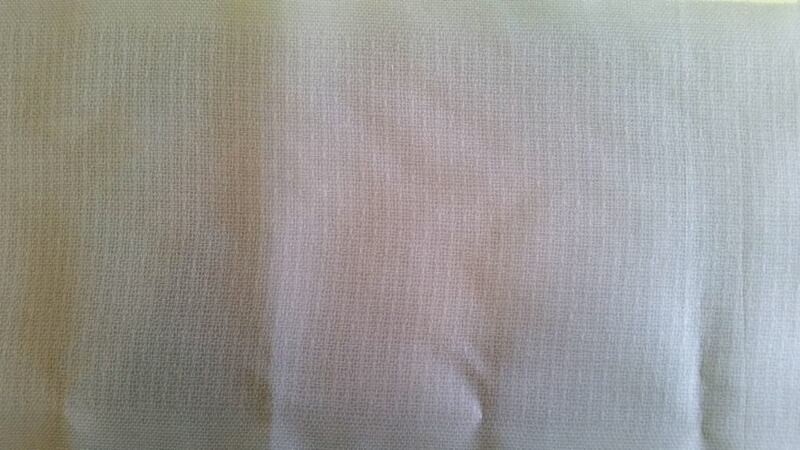 However the steam was not getting through the tight weave of the percale fabric. One of my weaving mentors brought her silk organza pressing cloth to the Sewing Your Handwovens class that we both attended. Seeing that pressing cloth in action spurred me to purchase the Drtiz sheer pressing cloth at Jo-Ann’s. Its made of silk organza and it works beautifully. Any “spitting” stays on the pressing cloth and I do not worry that any of the sediment that forms around the steam holes of the iron will be transferred unto my woven piece. Step Two. Once the scarf is ironed I place one end of the scarf on my Fiskars rotary cutter mat and smooth out the fringe by lightly pressing a moistened piece of paper towel on the fringe. 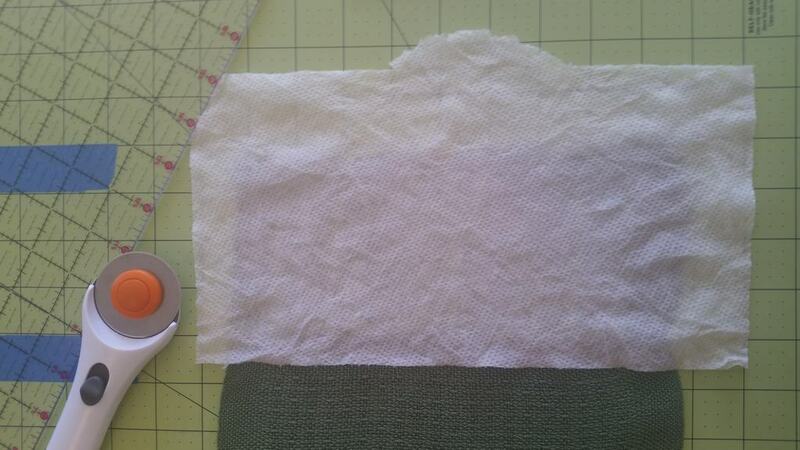 The moisture in the paper towel is just enough to smooth out the fringe. Step Three. I gently comb the damp yarn and the individual strands straighten out quite nicely. Step Four. 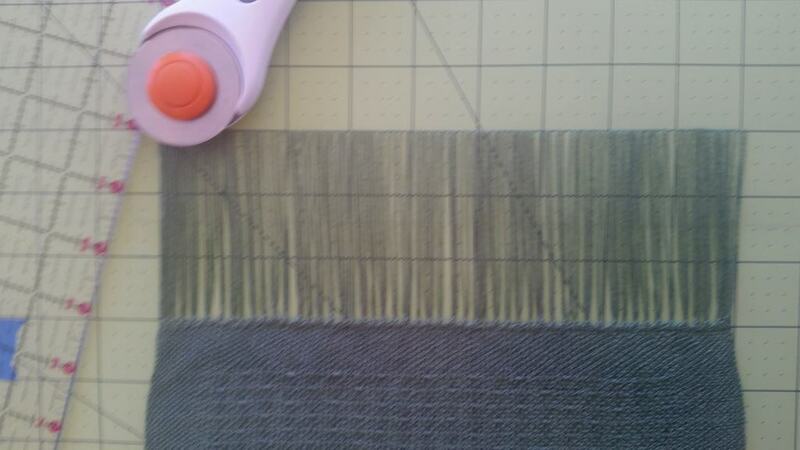 I place the Fiskars acrylic template over the now well-behaved yarn and trim them to 3″ using the rotary cutter. 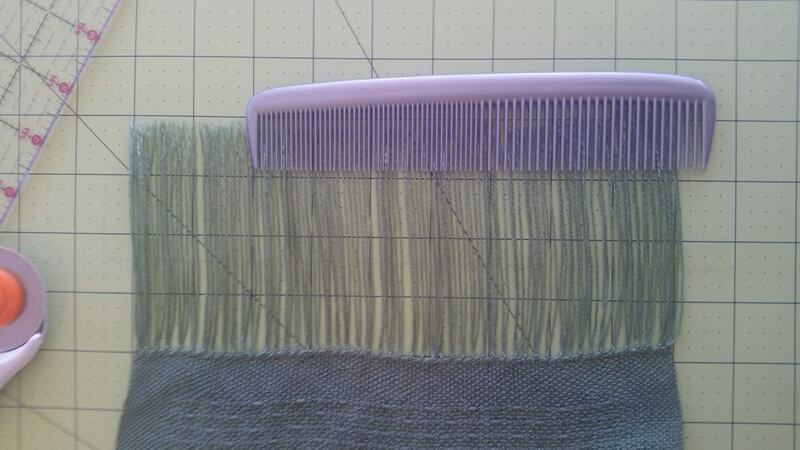 The end result is a row of evenly cut fringe. This is something I was not able to achieve when I used a pair of scissors; even the angled ones.